All living creatures, including us, humans, have a special connection with the universe. The ancient spiritual teachings fro the far East teach a lot about the energy of the universe and the relation between the micro and the macro cosmos. All of us are the universe and the ‘creator’ is the universe too, there is a huge energy circulating all around us and all of us have their own energy fields. In most of our articles on this kind of topics, we explain that probably the best advice to make a person happy and fulfilled is to vibrate positive (HIGH FREQUENCY) energy all around them. Negative people are blasting out of low-frequency vibrations. However, this is just the basic, something that we all know. The extra-sensitive people and the empaths are way more advanced when it comes to recognizing, absorbing and accumulating energy. 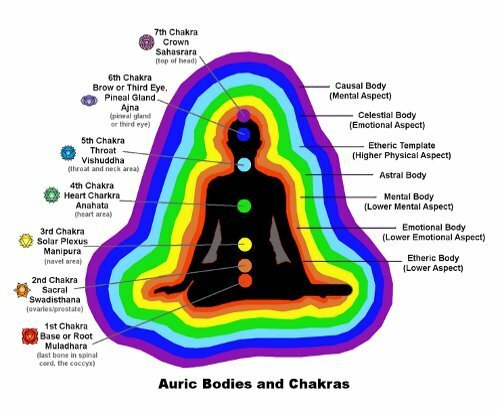 They see the energy auras around our bodies. Sometimes when u walk past someone you can steal his energy and vice versa. Sometimes if you enter/ someone enters yours/theirs energy field, it may result in confrontation or conflict situation without any particular sane reason. This all happens because of the energy auras all around us that most of us are totally unaware of. 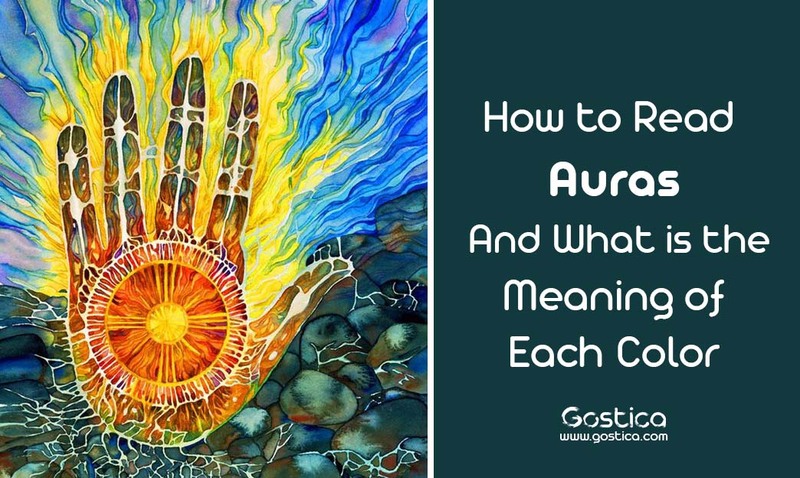 If we know a couple of things about the auras, their colors and meaning, we will be better prepared for ‘the real world’ and spiritually stronger. The people surrounded by red aura are most enthusiastic and energetic individuals who are always ready for a new adventure. They may be impulsive and fast, they want to try everything and taste everything. However, their dangerous approach may put them in unpleasant and dangerous situations. Read Aura people are also quick to anger and have a tiny temper. On the other hand, they are mostly intelligent, self-confident and brave. Red Aura people are risk-takers and they adapt fast, so they are very successful professionally and, also, can become extremely wealthy. The worst side of the Red Aura people is their constant deficit of attention. They want and need to be always on top, the center of the universe. People with dominant yellow aura are the analytical, intelligent and logical people. They are not careless, but very cautious. They overcalculate everything and most of them are workaholics who are strongly focused on their material world. Yellow aura people are not the ‘relationship’ type of people, but at the same time, they are very resistant to stress, depression, anxiety etc. They have a strong mental profile. They are happy with their own and extremely self-sufficient. Unlike the others, they enjoy loneliness and at the same time, they are great communicators and know how to socialize. However, their socialization is seen as an obligation, not need. They don’t make friends easily, and if they do, their friends are also people with yellow aura- intelligent and hardworking. Intense self-criticism and perfectionism are also common for yellow aura people. Having a predominant blue Aura or energy field surrounding you can point to a number of personality traits. Totally blue Auras are quite rare but can show up as one of the boldest Aura colors in people with strong personalities. Blue Aura people are the master communicators of the world. They have the ability to convey their thoughts, ideas, views, and concepts eloquently and charismatically. They make for excellent writers, poets, and politicians. Blue Aura people are also highly intelligent and very intuitive. They certainly have the head and heart balanced in making difficult decisions and choices. They are incredibly good organizers and can motivate and inspire others. Gold Aura people have an extraordinary sense of aesthetics, they love beauty and have a very artistic flair. You could call them hedonists- they really love the finer things in life and like to adorn themselves and their surroundings with beauty, class, and extravagance. They also want to be the center of attention and they are very good at it. They know how to entertain social groups and how to affect admiration from other people. Because of this, gold aura people are known to have many, many friends. They are caring and sharing, they will give you time, they will listen to you and they make a great company. However, they don’t want their flaws and can’t stand criticism. They hide under masks and this is their biggest issue. They are very proud and independent. These are the people who have special gifts. They will use their gifts through their lifepath to grow as a person. They are very wise and they truly learn life lessons. Silver Aura people are sensitive, intuitive and they even have some psychic abilities. These people have the strongest spirit and the biggest potential to reach spiritual divinity and find ‘The Truth’. People with predominant silver/white aura are always seen as very attractive. They attract people and admirers, but sometimes this could be an issue because silver/white aura people don’t want to be center of attention. They don’t really care about reputation, nor are proud or egoist. Silver Aura people are also considered to be very lucky. Brown aura always suggests something wrong with your personality. Indicates confusion, discouragement, lack of confidence and fear. Dark brown indicates selfishness, egoism, and a tendency toward deception. This is the aura of hatred, negativity, depression or some major illness. This color is a really bad sign. If you want to read your aura, just follow these simple steps. Stand or sit in front of a mirror. Have a solid, light background behind you and start looking at yourself in the mirror. Focus your attention on an outlining spot on your body. (I focus on the area between my neck and shoulders.) At first, you might see a thin white or transparent image around your body. This white or transparent image will appear as a nearly-clear form of energy, but you’ll definitely see it. Remain focused. Eventually, that white or transparent image will expand and will become a noticeable color (on me it’s a thin yellow outline of my body). At this point, you’re seeing something that your mind isn’t used to seeing, which triggers your brain to start thinking, and the aura disappears. It’ll come back quickly and will disappear just as quickly as soon as you think about what you’re seeing. If you are able to remain focused, your aura will glow brightly. Slowly, you will see more of it and you will be able to truly determine what aura are you surrounded with. If you stay long enough focused on your inner aura, soon you will be able to see your outer aura. However, this process requires a lot of focus and spiritual strength. You will see waves that are slowly glowing out of your body, but still, it’s difficult if you are not a spiritually advanced person. I’ve always been very curious about something I saw many years ago. A woman I knew was sitting at the opposite table from me. There was a large window behind her but not an excess of bright light coming in behind her. I’ve seen auras and various colors but all around her was ‘heat waves’. No color but like you see when a mirage pops up on a long road in summer. I’m not really knowing how to describe it so this might sound a little vague. Has anyone else experienced this or know what it was?